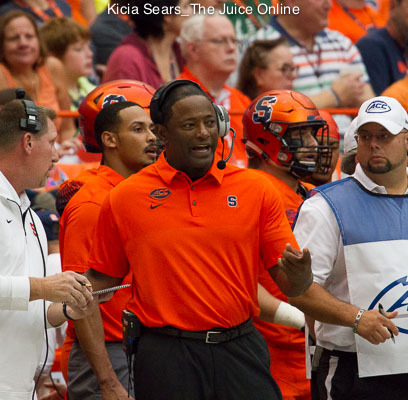 Wouldn’t it be great if Dino Babers and the Orange faced Miami and Virginia Tech each season? Item: Didn’t the entertaining (except for in the won/loss column) Miami game last weekend bring back memories of the great Big East rivalry with the ‘Canes, highlighted by the 16-10 near-miss of knocking off No. 1 UM in 1992, and the 66-13 Donovan McNabb-led rout in 1998? It’s time to bring that game back annually. 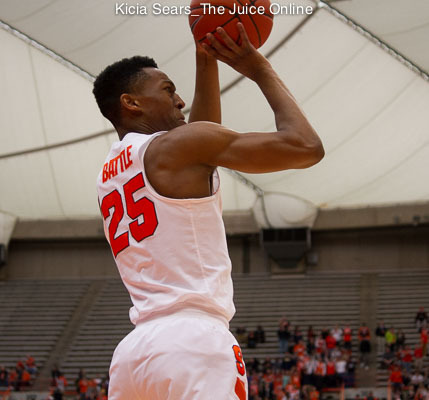 Since Syracuse joined the ACC in 2013 there’s been sporadic talk about shaking up the Atlantic and Coastal Divisions. 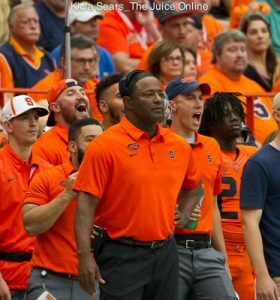 In fact, former SU athletic director Daryl Gross waited just five months after membership commenced to bemoan the fact that with the current crossover rotation, the Orange program would get to northern Florida every other year by facing division-mate Florida State, but would miss out on more frequent opportunities to showcase the Syracuse football brand in big southern markets like Atlanta and Miami, while advocating for a nine game league schedule. That scheduling and alignment theme has died down the last couple of seasons even with both FSU and Clemson winning national championships, seemingly making the SU path to winning the Atlantic Division all that more difficult. But as we all know around these parts winning is often cyclical, and there’s no better example this year in the Atlantic with the rise of current No. 14/15 N. C. State and Florida State shockingly sitting at 2-4 with no wins at home. So, we’ll throw our two cents into the ring with a dream realignment proposal that we think most ‘Cuse fans would approve, providing the opportunity to have either Miami or Virginia Tech in the Dome each season, while maintaining the current rivalries with Boston College, Pittsburgh and Louisville (and recent one with FSU). The Atlantic Division would be the revised Big East plus Florida State, as FSU was the last non-Big East team to join the ACC in 1991-92. The Coastal Division would contain the traditional ACC programs going back to the “Tobacco Road” days. The Atlantic Division would be Boston College, Florida State, Louisville, Miami, Pittsburgh, Syracuse, and Virginia Tech. The Coastal Division would be Clemson, Duke, Georgia Tech, North Carolina, North Carolina State, Virginia, and Wake Forest. 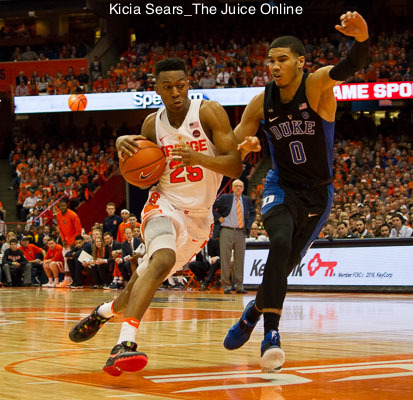 As for SU’s new crossover opponent, make it Duke, another private school with the opportunity to build up the football rivalry to go along with what’s already transpired in ACC hoops play between the two schools, and maintaining a guaranteed trip to Carolina every other year. The other proposed annual crossover matchups would consist of Boston College-Wake Forest, Florida State-Clemson, Louisville-Georgia Tech, Miami-North Carolina, Pittsburgh-North Carolina State, and Virginia Tech-Virginia.